Yesterday my wife Zoya and I celebrated our wedding anniversary. My day started out just right – I woke up to find an e-mail about “The Field Trip” being accepted by Dagan Books for their “In Situ” anthology. They have since posted a table of contents, including work from some pretty exciting authors. Not too shabby at all. Later that same day I heard back from Schrodinger’s Mouse magazine, letting me know that they have accepted my story “In Service of a Greater Cause” for publication in their inaugural issue. Of all my short stories this happens to be my wife’s favorite, so we were both excited to see it find a good home. Two acceptances in one day are definitely making me feel spoiled, and very very lucky. I wish there was a way to bottle up a day like yesterday, because it was pretty darn perfect in many aspects, including that of my fledgling writing career. My goal for 2010 was to have two stories published, and I was happy to accomplish that. I set myself an ambitious goal for 2011: I’d like to have 10+ short stories accepted for publication. 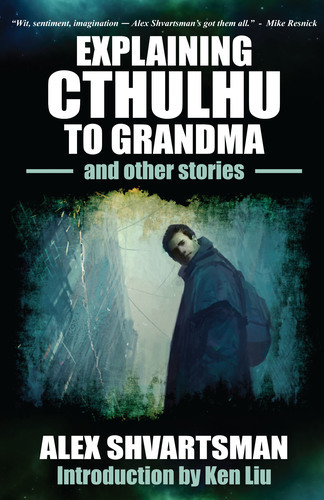 This is an important distinction – a story can be accepted in September but not actually published till the following March – and I wanted to give myself a little extra wiggle room since ten stories are a huge number. It’s the middle of January and I have already have three sales to boast about. Now if I could only keep up this momentum for the rest of the year! This entry was posted on Saturday, January 15th, 2011 at 11:03 pm and is filed under Uncategorized. You can follow any responses to this entry through the RSS 2.0 feed. Both comments and pings are currently closed.